Because it's pure El Dorado aromas! Experimenting with brewing in Rwanda. No hops there. Something new to try. I love a good hop nose! Tried it at CBC I like it! This is a great way to get a pronounced hop nose in the keg. Looks like a great new thing to learn for brewing awesome beer! Heard about this product on brewers network. New hop technology products interest me. Like Cryo hops too. Using a syringe, I put 2 tiny drops in a 20 oz bottle of Barleywine and everyone who tasted it were gushing with compliments. 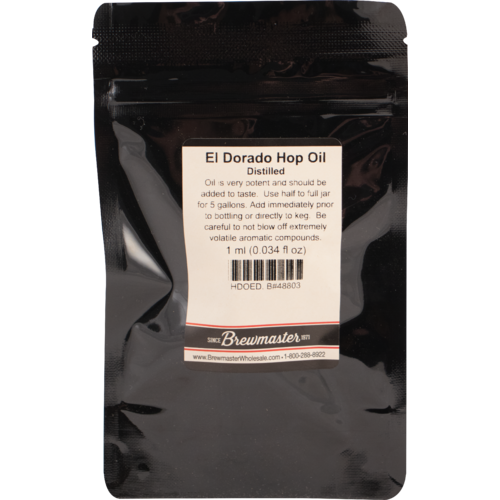 Adds fresh hop aroma to beer that is hard to obtain with stored hops. So far, not as successful with kegs. Go easy on this! 1 mL in 5G really was borderline excessive. A bit green notes, but first time using El Dorado so perhaps expected? I was really excited to find this here, and it put me over the top for free shipping. This vial is really small - 1mL is TINY. But man does it pack a punch. Dipped a toothpick in the vial then into a glass of beer - not even close to a drop was transferred yet the flavor and aroma was immediately there. Be careful with these small dosings! Flavor profile is perfect match for the aromas coming off my El Dorado pellet dry hopped IPA, but without the green vegetal funk that persists for the first 5 days or so. Once the aroma starts to fade on that batch, this little bad boy will kick it up a notch. Have not yet had a chance to see how it ages and whether it fades, mellows or integrates nicely, but I'm hoping once its in the keg it has no way to get out but through me. Here's to hoping we get more options in distilled and cryo-hops! Definitely adds a distinctive hop aroma, not a replacement for traditional dry hops. 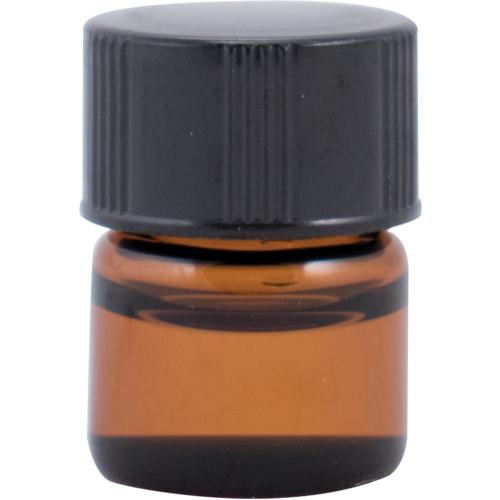 This hop oil definitely adds a distinctive hop aroma which carries a small bit over into flavor, perhaps unsurprisingly. The description MoreBeer gives seems accurate. 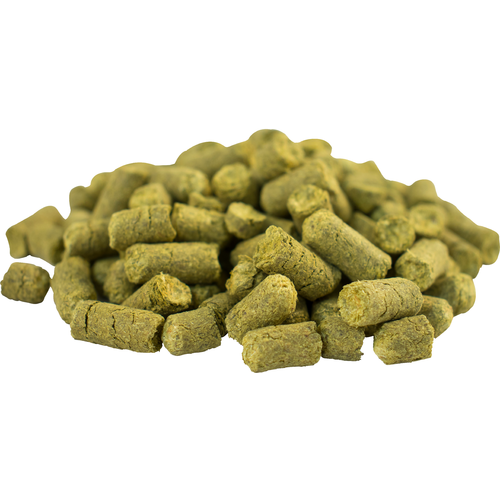 The aroma is reminiscent of wet hop character, and also of hop candy. Very distinctive. For reference, most will likely find a single small drop into a full pint of beer to be overwhelming. Not a lot of difference apparent between the two available varieties when tasting side by side. When you get too high on the dosing there is an almost chemical aroma. I'm giving this 3 stars but not sure if I'm being fair. Hard to imagine this tiny vial can be that potent but it is. May be fine in a 7-10 gallon batch or use 1/2 in a 5 gallon batch.